Maybe because I’m a home inspector, or maybe because I have my own children, I over-react sometimes (mentally – my personal imagination just takes off) in situations where common sense and a little imagination is required. This is a scenario that popped into my head a couple of days ago when I walked into the 2nd floor master bedroom closet of a house I was inspecting. In one of the floor corners, there was a laundry chute – 12″x12″ – square opening with a metal cover on top (same diameter circle opening). It was not secured to the floor and its door was swinging inside the chute … no safety locks! What was underneath? A straight 9′ drop into the laundry room located on the floor below. Oh, and I forgot, there were small children living in the house! 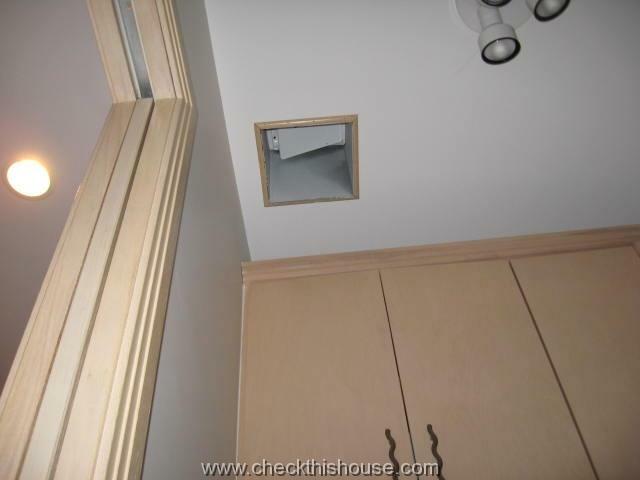 Many homes currently have or previously have had a laundry chute installed, and often it is not in the safest location – older homes usually have it in the bathroom linen closet floor, sometimes on the side wall, but still low and easily accessible by small children. And the saddest part of this story – that there’s no laws to break, regulations to follow, zero construction and safety requirements for the laundry chutes (except for the fire code) – let me know if that changes. So please, for your little onesʼ sakes, make sure that their curiosity and adventuress behavior doesn’t end up with a disaster. Take a walk through your house and check all the closets; make sure that there’s no laundry chute or any other opening in an area which could be easily accessed / opened by a small child. Use your imagination and common sense – even if you don’t have small children, it might be one of your visitors or children of the next owner of your house. 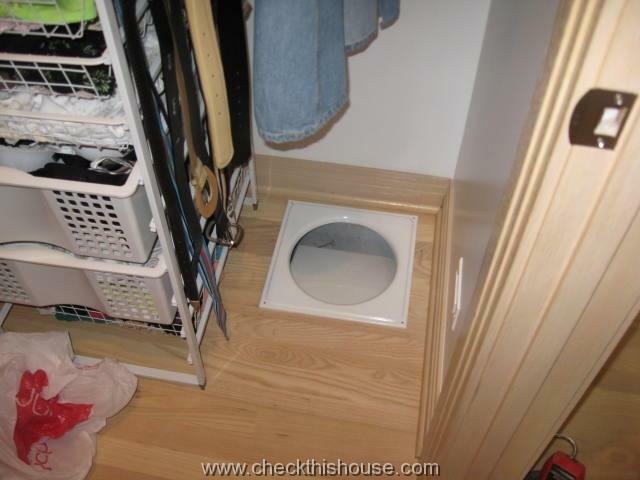 If you think that your laundry chute could be a hazard – do something about it! We live in a townhouse that has cinderblock firewalls between units, My hot water heater is in attic and we would like to replace it with a gas tankless. Is it against codes to mount it on firewall? It would depend on how your local code enforcement division will classify anchoring it to that cinderblock firewall. They might say that anchors, holes, etc. will compromise its integrity. I can’t find anything in a code book preventing such installation but to avoid redoing it in the future, I would either ask them (building department) or build a simple wall frame attached to the roof & floor framing and secure tankless WH to that structure instead of the cinderblock wall.